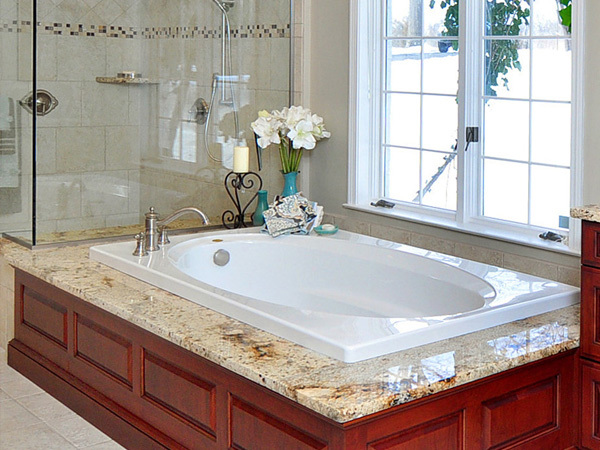 For All Your Remodeling Contractor Services, Holland Kitchens & Baths Can Help! Holland Kitchens & Baths is an award winning design firm, with an expert team of craftsmen to help you create a new kitchen, bathroom, or other room in your house.From floorboards to ceilings, tight budgets to problem bathrooms - we have the team with experience and creativity to make your next remodeling dream come true! Many homeowners have remodeling dreams that are more than just the kitchen, and we can help! 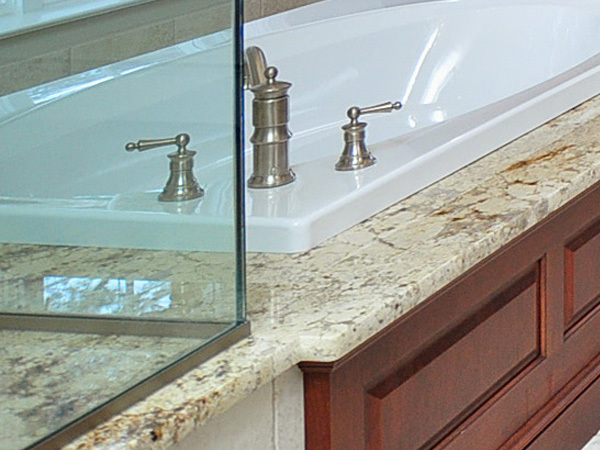 At Holland Kitchens & Baths we remodel bathrooms, bedrooms, home additions, and more! Why settle for a cookie-cutter design when you can have a kitchen that truly matches your family's style and needs? 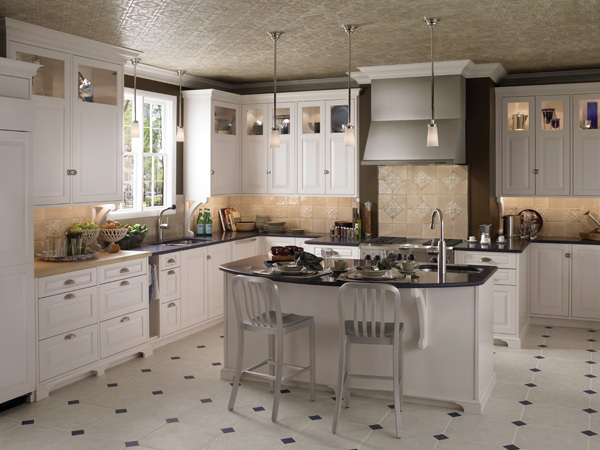 Holland Kitchens & Baths has a qualified staff of award winning designers and craftspeople to make the custom kitchen of your dreams come true. From a simple kitchen renovation to a problem layout with a tight budget - we are the high-end provider for your entire kitchen remodeling needs. Holland Kitchens & Baths will provide the best in customer service and guidance, lending you their creativity and expertise to make your ideal custom kitchen a reality. We specialize in turn key service and will stay with you throughout the remodeling process. It all begins with a plan; discuss your needs and wants with your family, decide on a budget, and browse our gallery to see some of the many kitchen design options that are available to you. You can also put together a scrapbook of pictures and images to act as inspiration for your design. The bathroom of every home must be comfortable, clean, and beautiful. Blow your guests away with a beautifully designed bathroom that blends well with the rest of your home, but is still highly functional and efficient. Holland Kitchens & Baths has a qualified staff of award winning designers and craftspeople that will work closely with you to ensure your bathroom remodeling needs are met. 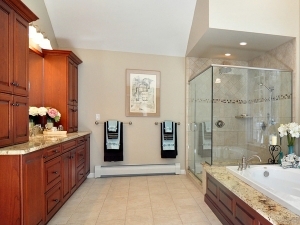 Bathroom remodeling allows us the opportunity to showcase our design capabilities, as well as our unique craftsmanship. 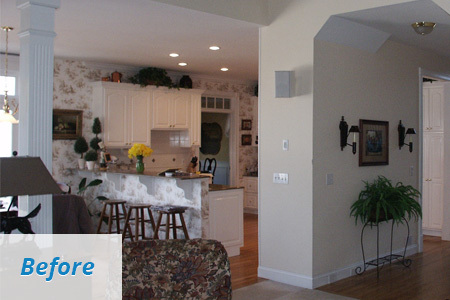 Remodeling contractors are only as good as the work they've completed and the services they have provided you. For decades, Holland Kitchens & Baths has expert construction and remodeling solutions that work for all parties involved. While this may seem insignificant or mundane, high-quality shower heads can transform your bathroom into a spa-like experience. 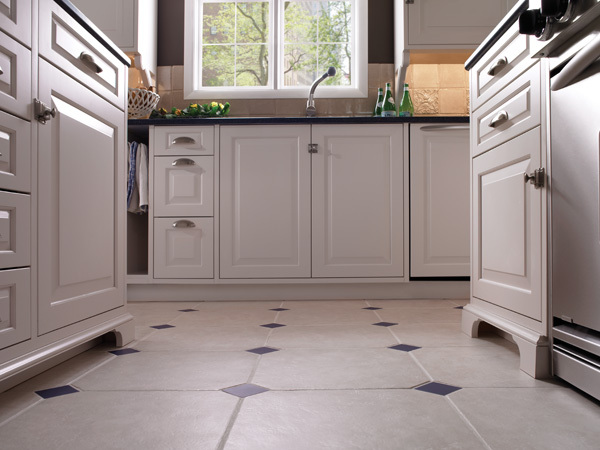 One of our design specialists can help you measure your space in relation to your needs. 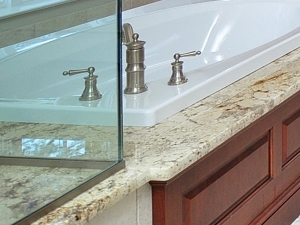 At Holland Kitchens & Baths, we have showrooms set up for the purpose of your coming in and seeing what your new bathroom will look like before you purchase. One of our design experts will provide hands-on experience that is invaluable. 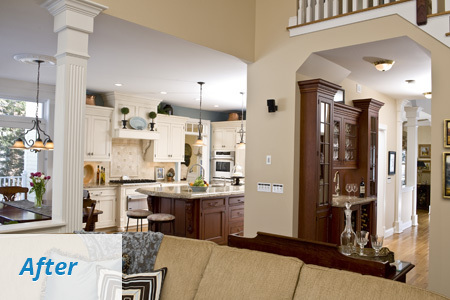 As remodeling contractors, we can handle the entire project or any portion you may need help with. 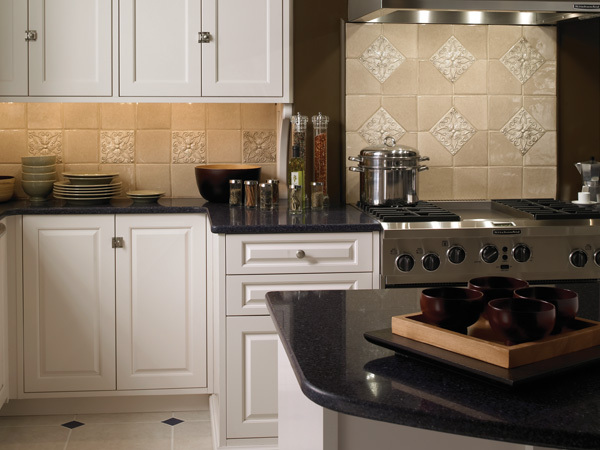 If your kitchen is too dark, we can design and install a totally new lighting plan. Want to add a 2nd sink in the kitchen, no problem! 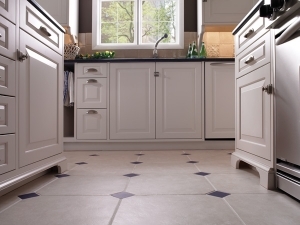 Install a heated tile floor in your bath, we do it. At Holland Kitchens & Bath, we have the years of experience and the talent to handle all of your remodeling needs. Dear Kate and Everyone, We are settling into our new kitchen and are quite pleased with everything. The design has proven to be efficient, comfortable, and enjoyable. I never thought I'd say that I actually enjoy cooking and being in the kitchen, especially after a long day at the office, but I really do look forward to coming home and spending time there! The addition of light from the spectacular window and patio door and the positioning of the cooktop and sink which provides a wonderful view to the outdoor living areas makes for a truly relaxing environment - difficult to achieve in the normal hustle and bustle of a kitchen area. The kitchen has become a favorite gathering place for our family and for the boys and their friends. 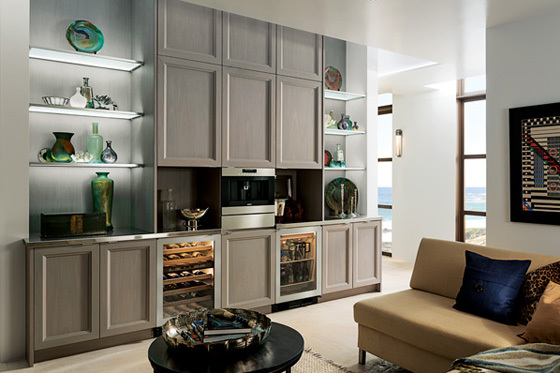 We are very impressed with the quality of the cabinetry, and John's artistry is obvious. In sum, the service, quality, and respect for out privacy during the installation process all exceeded our expectations. Kate, I can't thank you enough for all the many hours we spent going over every little detail - the effort is evident in the spectacular result! It was our pleasure to work with all of you at Holland, and please know that you are in our thoughts each time we walk into our fabulous new room. Debbie and Ken H.
For the best remodeling contractor services, Holland Kitchens & Baths is your answer! With over 30 years of experience and results that showcase our creativity and expertise, we're sure that your new kitchen or bathroom design will look beautiful! We proudly serve the greater New Hartford and Vernon CT areas, so contact us to start the design process today!